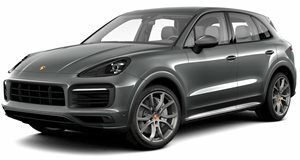 Because Porsche wants to cash in on the coupe SUV craze. We’ve known for some time that Porsche is cooking up a coupe version of the Cayenne to cash in on the coupe SUV craze and rival established models like the BMW X6 and Mercedes-Benz GLE Coupe. We’ve already seen prototypes of the Cayenne Coupe (the final name hasn’t been confirmed), but we now know when it will break cover – and it’s arriving sooner than we expected. Marcus Eckermann, Managing Director of Porsche Cars Great Britain, confirmed to Autocar that the covers will come off the Porsche Cayenne Coupe later this month before going on sale in Europe this fall. It hasn’t been confirmed when US sales will kick off, but we’ll hopefully find out soon enough. Previous spy shots have shown the new coupe version of Porsche’s popular SUV will look more stylish than the regular Cayenne thanks to its sloping roofline. It will also sport a new retractable spoiler to improve the aerodynamics at higher speeds. Other than that, it will be visually and mechanically identical to the Cayenne SUV. The interior should also carry over, so expect the Cayenne Coupe to feature a central 12.3-inch touchscreen and two seven-inch displays in the instrument cluster. In terms of engine options, the Cayenne Coupe will likely be powered with either a turbocharged 3.0-liter unit with 340 hp and 332 lb-ft of torque or a 2.9-liter twin-turbo with 440 hp and 406 lb-ft in the S version. Plug-in hybrid and all-electric versions are also expected to join the line-up. 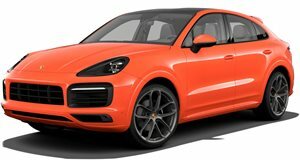 The sleeker Cayenne Coupe will also be more expensive than the regular model, which starts at $65,700. We’ll find out more details later this month when the Porsche Cayenne Coupe is officially revealed.